Covering basic elements to trial balance in manual & computerised bookkeeping. Completion should open doors for work as a bookkeeper's assistant. Includes Level 2 & 3 course packages and our popular ICB Career Path Package. Dealing with postings and adjustments required with the completion of year-end accounts for Sole Traders, Partnerships and Non Profit Organisations, and management reporting for limited companies. If your ambition is self-employment as a bookkeeper, this is your minimum requirement to enable you to practise under the umbrella of ICB, allowing you can make use their valuable support services. The ICB provide this practical Diploma range allowing their members to offer valuable additional services to their prospective clients or employers. The three diploma options include Payroll Management, Self-Assessment Taxation and Costing & Budgeting and we offer individual or group enrolment options. Ideal Schools are the only college to offer structured training in the qualifications needed to attain Fellow Membership of ICB. Also, as a member of ICB you are encouraged to complete continued Professional Development (CPD) to ensure your knowledge is kept relevant and up to date so you can offer your clients and/or employer a reliable service. In particular, the FRS105 qualification allows you to expand your client base to include Micro Entities, enabling you to complete and submit their accounts under this financial standard. We offer individual and combined enrolment options within this course range. Consultation with commerce and industry has confirmed and amplified the Institute's assessment of the need for qualified bookkeepers. Employers both large and small are fully supportive of the objectives of the Institute of Certified Bookkeepers. ICB have an extensive network of branch meetings, each one is run by an ICB member and open to all students and members. Attendance of these allows you to share experiences with your peers. 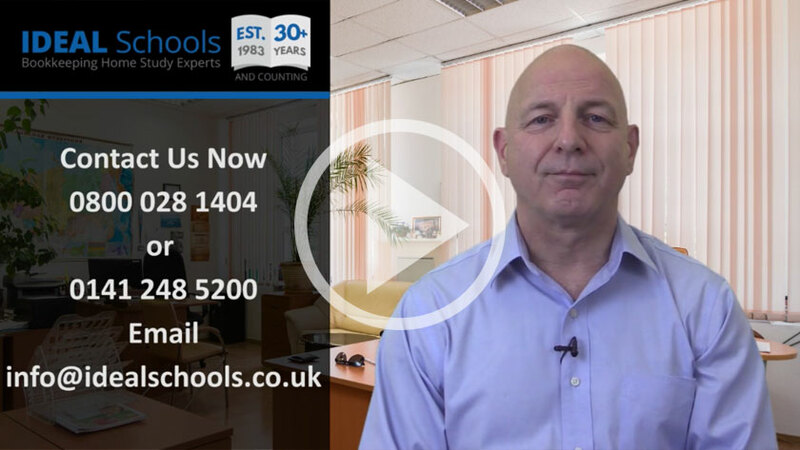 Ideal Schools are proud to sponsor a number of these and attend those local to us on a regular basis. ICB also hold an annual 'Bookkeepers Summit', the largest of its kind, where they bring together leaders within this industry to keep you informed of legislation and developments. There are many speakers, but areas covered include: software companies, pension regulators, HMRC, and many, many more. 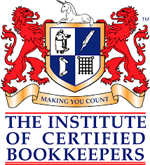 ICB have done more than any other organisation to raise the profile of the 'the bookkeeper', to such an extent that this is now regarded as a recognised profession. Part of their commitment is to ensure their membership practises to the highest standard, they encourage continued CPD with a guidance of 30 hrs per year (structured & unstructured). Our extensive course range, allied with annual payroll & tax updates, ensures we are well placed to keep your skills relevant.